Compositech is a leading manufacturer of belt press assemblies currently in operation in heavy industrial applications including wastewater processing at chemical plants and municipal wastewater treatment plants. Our cantilever frame facilitates the use of seamless belts and, with an easily cleaned steel frame, Compositech’s belt filter press is well suited to abrasive slurry dewatering. 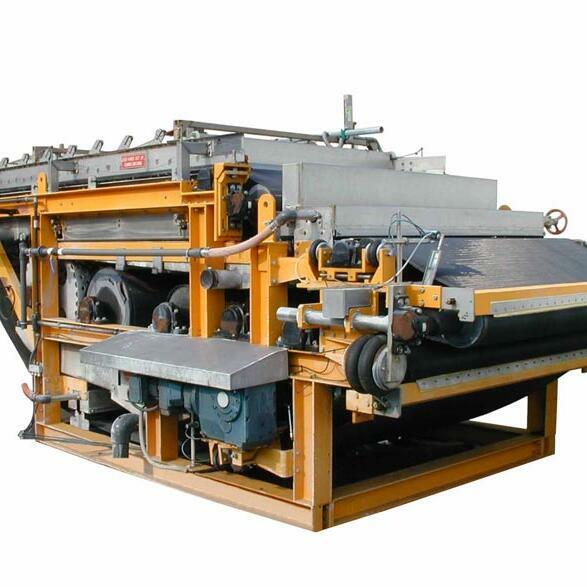 The filter belt press is a dewatering machine designed to concentrate sludge by means of progressive compression between two permeable belts. The “low pressure” zone of the belt filter press features the upper and lower belt converging to exert pressure on the sludge. A "high pressure" zone consists of 5 or 7 rolls around which the two belts are pressed. As the sludge is processed, the pressure exerted gradually increases to produce a high dry value in the final cake. The processed cake is removed from the belt filter press by doctor blades. Compositech designed and manufactured SernaTech belt press filters under a joint venture with Sernagiotto Italy from 1999 through 2002. 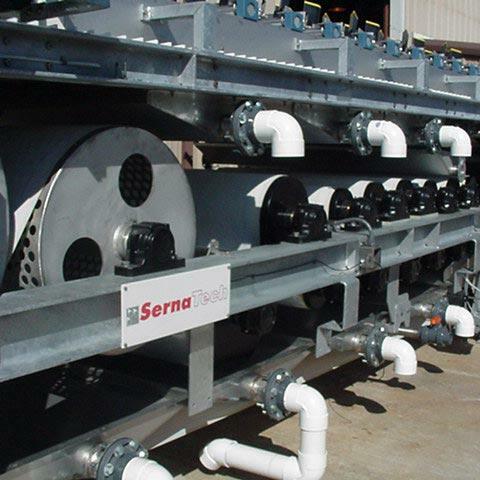 All SernaTech belt press filters were manufactured at our Pearland facility. We currently service these belt filter press machines and we keep a ready stock of replacement parts for many makes and models of filters in our inventory. With our spare parts inventory, we are able to expedite belt press filter part orders for our customers. We stock bearing assemblies, seals, gaskets, rollers, doctor blades, steering valves, plows and many other spare parts. We manufacture Compositech replacement parts for Andritz, Ashbrook, Carter, Envirex, Enviroquip, Komline-Sanderson®, Parkson, SernaTech/Sernagiotto and various other belt press filter manufacturers. Our replacement parts meet or exceed the quality and material of OEM components and are manufactured and warranted by Compositech.